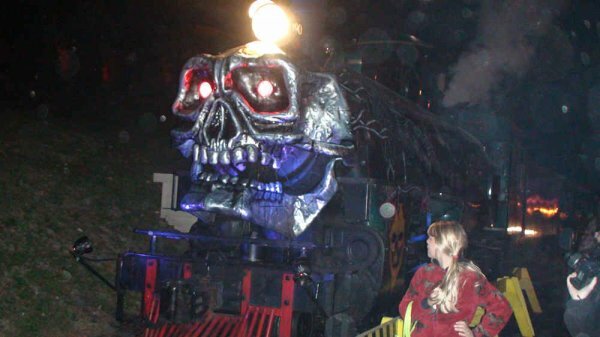 The Ghost Train at Tweetsie Railroad was a chilly, Friday night as temps dipped into the upper 30s. Fall Foliage visitors were treated to a perfect weather day in Blowing Rock. Tweetsie Railroad host the Ghost Train each season in October and it is a huge bit of fun with fair-like rides, candies and goodies of all kinds. Caramel apples and goblins were seen everywhere. The Black Hole and Haunted House were very spooky and popular and there was a good crowd in attendance although perhaps a bit off from the last couple of seasons.